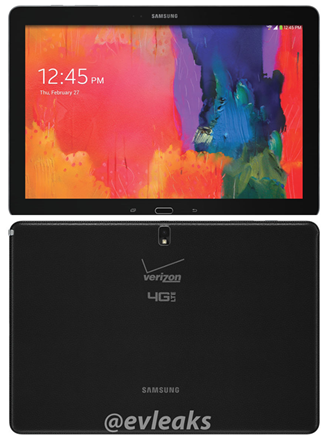 Verizon Samsung Galaxy NotePRO 12.2 Leaked By @evleaks! Worth The Cost? The largest ever Samsung Galaxy Note tablets are being prepared to be unleashed on the market. Evleaks has leaked the Verizon variant of the NotePRO. The above image is expected to be the WIFI device which is expected to cost anywhere from $750-$850. The LTE version may cost over $1000. The LTE version should house the Snapdragon 800 while the wifi variant will pack an Exynos processor. Is it worth the cost?